Site Assessment Services in Southern New England. 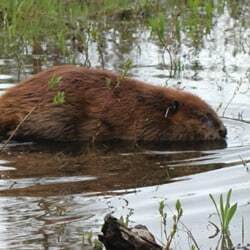 Having assessed and implemented successful solutions at over 2,000 beaver conflict sites, Mike Callahan and Beaver Solutions LLC are extremely qualified to determine the best options to resolve your beaver problem. Our highly successful beaver control devices usually offer the most cost-effective and long-lasting solution to beaver dam flooding problems. 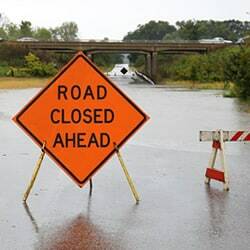 We combine an understanding of beaver behavior and abilities with the latest advances in design to create cost-effective, low maintenance flow devices that prevent damaging flooding. For the occasional site where nonlethal control options are not feasible we also offer professional, humane beaver removal. 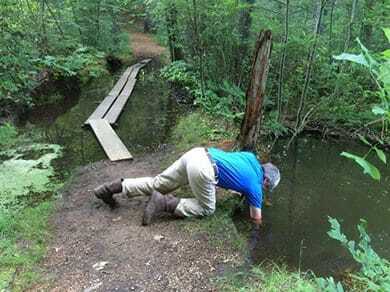 A good site assessment is the foundation of successful beaver management. We have done over 2,000 successful site assessments and interventions in southern New England (MA, CT, RI, NH and VT), as well as eastern NY, more than anyone else.